Become a Facebook Fan by “liking” Dollar General and get a coupon for $5.00 OFF your $25.00 purchase. 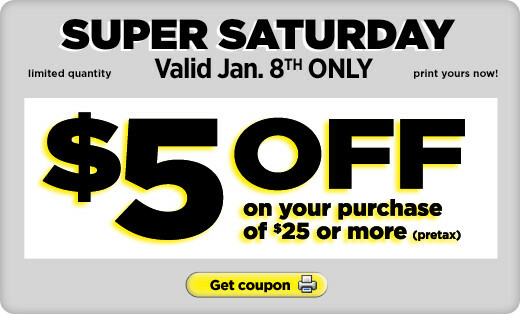 Coupon is valid for this Saturday, January 18 Only! If you’re already a fan you can get one too, just click on the “$5 Off” tab. Next post: T.G.I. Friday’s: Get $5.00 off any $15.00 Food Order!